VANCOUVER — When chocolate enthusiasts step into Fleur Chocolatte, they are immediately greeted with the distinctive aroma of fresh, handmade chocolates. The scent is only the beginning, though. 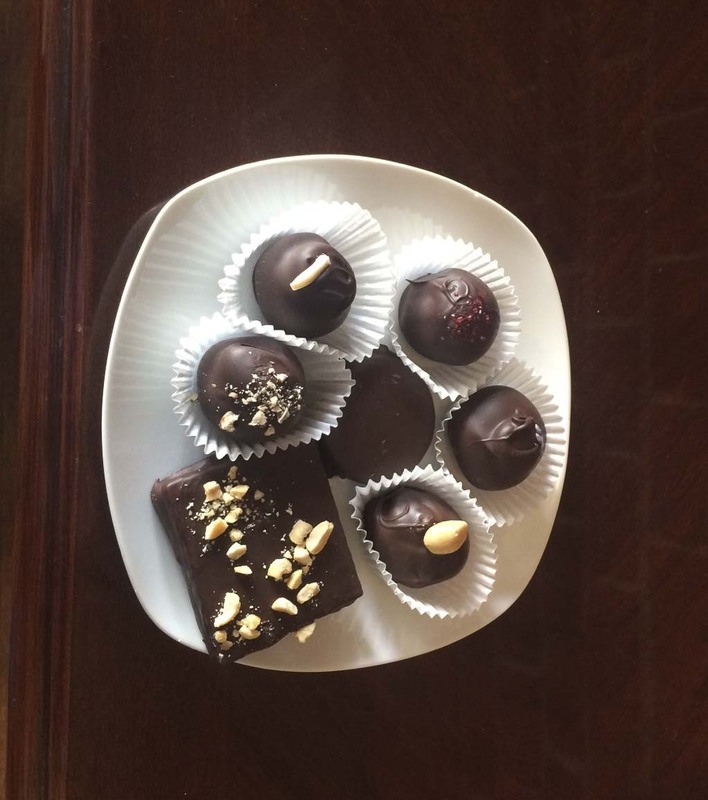 Taste buds are sure to rejoice when you put one of these chocolate beauties in your mouth, especially when you try some of the best sellers including flavors like almond coconut, lemon lavender, brandy raspberry, or butter pecan. 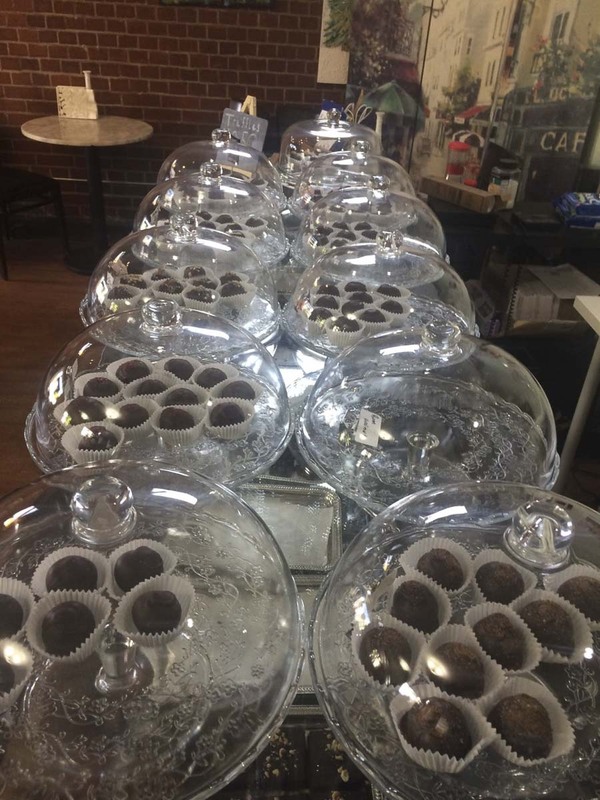 Mike Sherlock, owner of Fleur Chocolatte in Vancouver, shares that the truffles are made by hand every morning between 6 and 10 a.m. if the conditions are correct, as heat and humidity are the two main factors that are monitored closely. As soon as the conditions are ideal, he begins hand-dipping the creations. Sherlock shares that his story into the chocolate business has been a unique one, but his passion for small business combined with the art of chocolate making has steadily grown over time. “I retired after 30 years in the iron working business, and that retirement lasted 6 months before I started going stir crazy,’’ Sherlock says. “I had to find something to keep me busy. I always thought that owning a little coffee shop would be fun, so I went online looking for an existing shop that was available. I found this one when it was in a different location, which was a terrible location. 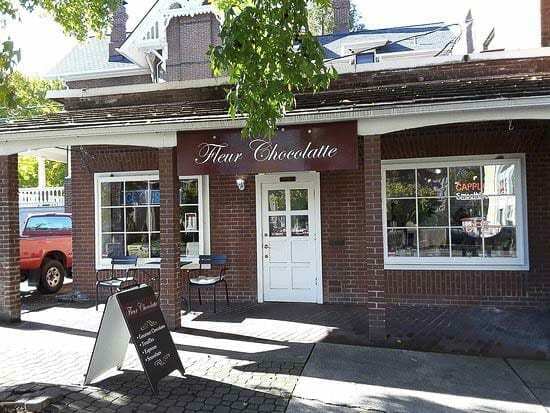 The first few months on his own were challenging and it was apparent that he needed to move the shop to a more suitable location, which is how Fleur Chocolatte ended up in its current downtown Vancouver location. Business was still struggling after the move, but Sherlock was determined to do what he could to make the company a success. Sherlock explains that several downtown Vancouver business owners were specifically helpful in his journey, including the owners of Kiggins Theater, Evergreen Wine Cellar, and others. He explains that Pam Robertson from Evergreen Wine Cellar was particularly helpful, as she was the first to purchase truffles from Sherlock to use in her wine/chocolate pairings at her shop. Today, she still sponsors pairings at her shop and continues to serve as a business education resource for Sherlock. In addition, Sherlock shares that his friend and right-hand helper in the shop, Renee has been an invaluable resource to helping grow his business. He also explains that a loyal customer base has helped fuel growth. Future plans include researching the area for a larger location or Sherlock may consider opening a second location on the eastside of Vancouver.